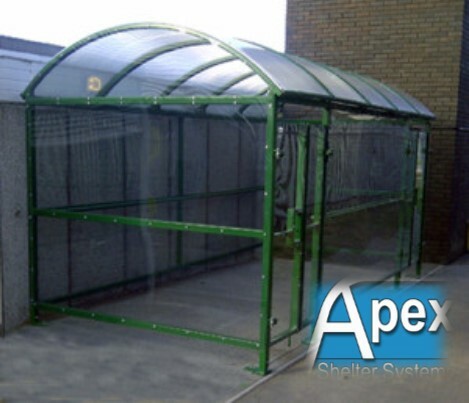 The Domed Roof Buggy Shelter has been specifically designed for the external storage of prams and buggies. 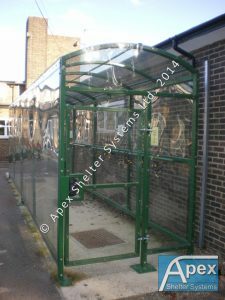 The sophisticated pram shelter can have a punch pad operated door lock for security and transparent sheeting giving all round visibility. The doors can be manufactured to feature on the side panels or front and rear panels. 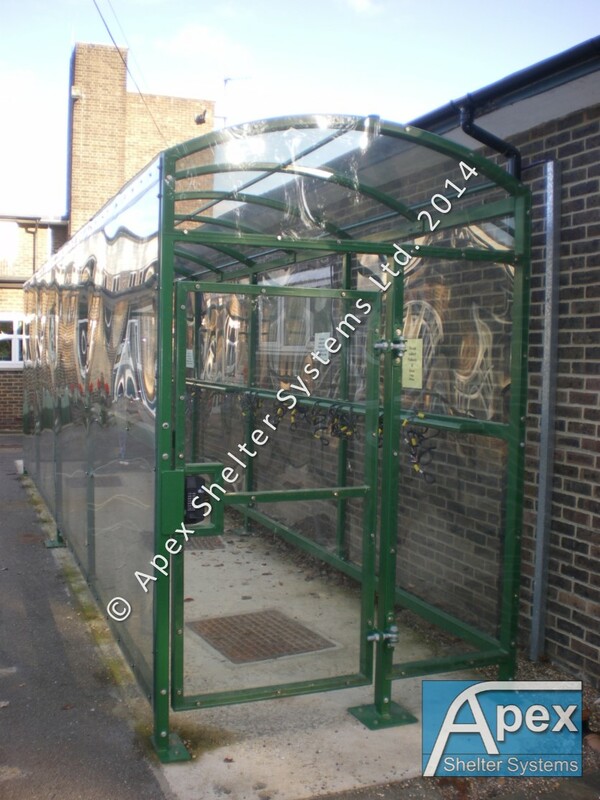 These Buggy Shelters have been designed for ease of installation and are supplied in flat-pack form with full technical installation instructions. 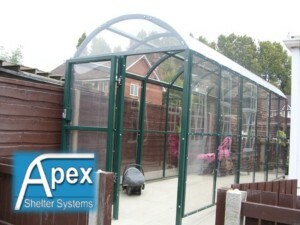 Alternatively, a full nationwide installation service is available including ground-works. Please contact the sales office for further information.